Sopa is a vegetarian and vegan restaurant with a new menu every day, at an affordable price. With food that is light, healthy and flavorful, you can’t go wrong with this vegan option. Taste the sweet apples in the salad while enjoying the crunchy pumpkin seeds in their fall salad. Or ravish in the tempeh with mushrooms. Embracing the fast-casual environment while also serving quality food. With an open environment, this is a place to catch up with friends. Sopa, although fast-paced, has great vibes, welcoming all to join the food family. With big windows and tables, you get lots of sunlight and space to spread out with – perfect for kids too. With Sopa, you get fast, healthy food for a quality price. 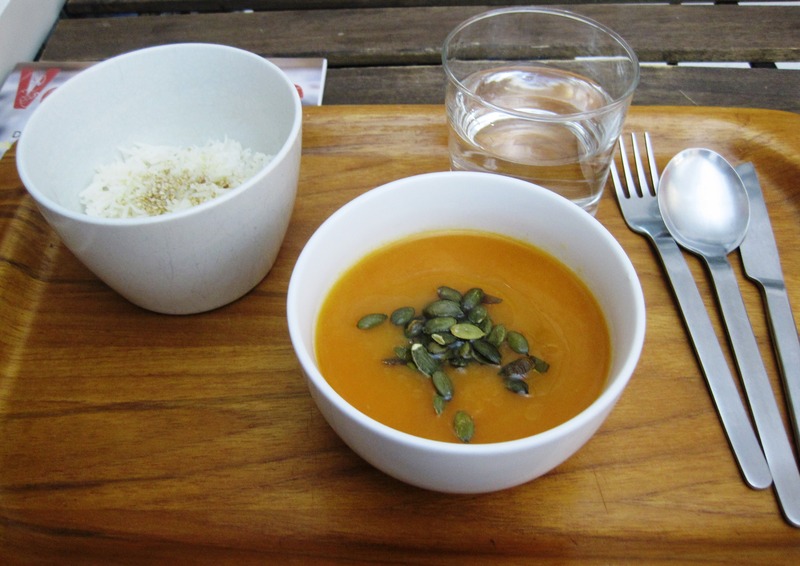 Vegan soups come in wide variety and are raved about online. If you do not want a meal, you can go there for tea or coffee and dessert – all of which are great options. I have yet to be disappointed by any foods I’ve tried at Sopa. The decor gives off earthy and organic vibes, matching up with the menu. I give this place 2 thumbs up.